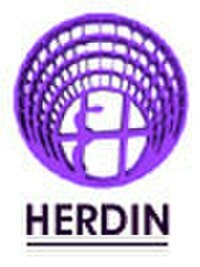 HERDIN (Health Research and Development Information Network) – database provides quick and easy access to more than 50,000 citation and bibliographic information from published (Philippine health research journals , conference/convention proceedings, International databases and publications) and unpublished (research institutions research projects and reports, thesis and dissertations) health researches in the country. Citations may include links to full-text content from publisher web sites or downloadable at HERDIN. BioMed Central – is a United Kingdom-based, for-profit scientific open access publisher. BioMed Central publishes over 250 scientific journals. All BioMed Central journals are only published online. BioMed Central describes itself as the first and largest open access science publisher. It is owned by Springer Nature. Directory of Open Access Journals (DOAJ) – is a website that lists open access journals and is maintained by Infrastructure Services for Open Access (IS4OA). ERIC (Education Resources Information Center) – is an online digital library of education research and information. ERIC is sponsored by the Institute of Education Sciences of the United States Department of Education. The mission of ERIC is to provide a comprehensive, easy-to-use, searchable, Internet-based bibliographic and full-text database of education research and information for educators, researchers, and the general public. Education research and information are essential to improving teaching, learning, and educational decision-making. National Commission of Culture and the Arts (NCCA) – (Filipino: Pambansang Komisyon para sa Kultura at mga Sining, Cebuano: Nasodnong Komisyon alang sa Budaya ug mga Arte), is the official arts council for the Philippines. It is the overall policy making body, coordinating, and grants giving agency for the preservation, development and promotion of Philippine arts and culture; an executing agency for the policies it formulates; and task to administering the National Endowment Fund for Culture and the Arts (NEFCA) — fund exclusively for the implementation of culture and arts programs and projects. 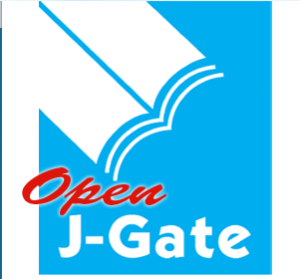 OPEN J-Gate – OpenThesis is a free repository of theses, dissertations, and other academic documents, coupled with powerful search, organization, and collaboration tools. Social Science Research Network – SSRN´s eLibrary provides 754,128 research papers from 351,335 researchers across 30 disciplines.